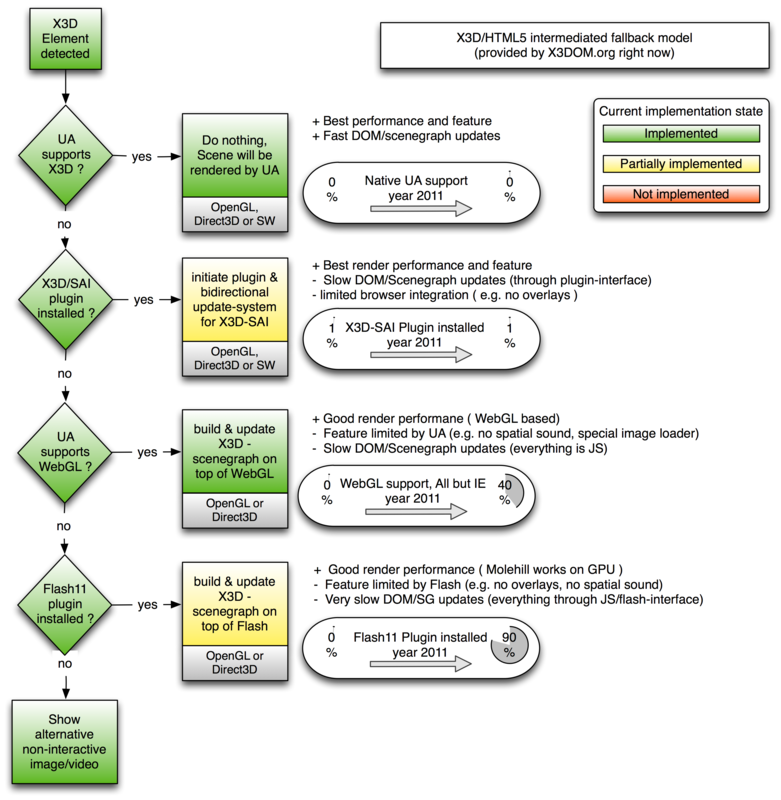 The current implementation of the X3DOM fallback model needs an InstantReality plugin, a Flash11 plugin or a WebGL-enabled browser. 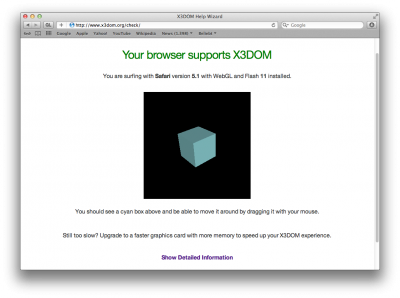 WebGL-enabled web browsers are available for most platforms. If you run Windows 7 or 8 you should be fine since IE11 supports WebGL natively (will some restrictions). If you have an older Windows and IE version like 9 or 10, you have to install either the InstantReality plugin, Flash 11, or Chrome Frame. Mac only: Safari 5.1 and newer on OS X (10.6 and above) include support for WebGL (the Windows version does not). On older versions, you still have to enable it through the "Developer" menu. To activate the "Developer" menu go to Preferences->Advanced and check the "Show Developer menu in menu bar" button. The standard Safari on iOS (8 and above) supports WebGL natively. Recent mobile versions of Chrome for android all support WebGL. Firefox mobile for Android supports WebGL natively. And here you can test if your web browser supports pure WebGL. If you have problems, you should check if your graphics card or driver is on your browser's blacklist.